Comfort Mobility is your premier provider of mobility and health solutions in Boynton Beach. 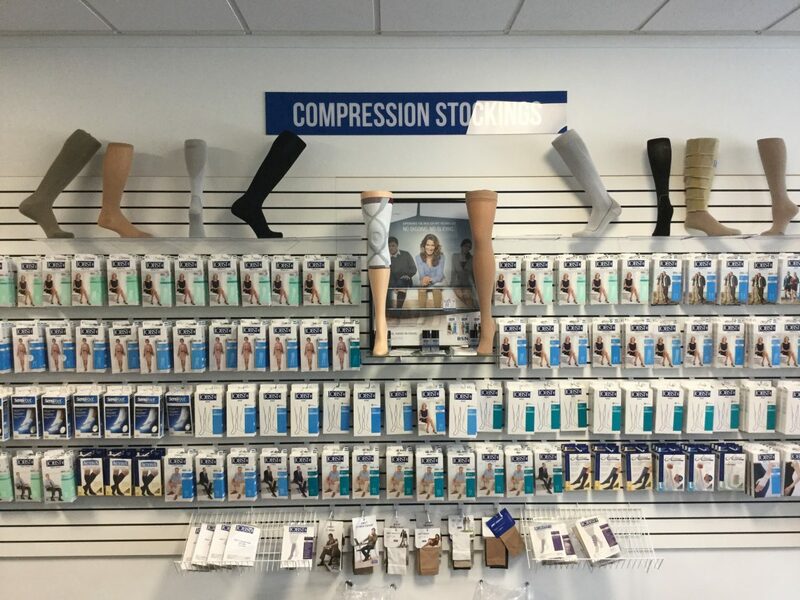 If you are someone who is experiencing issues with your legs including varicose veins, leg ulcers, leg swelling and more, compression stockings are a great solution to help ease your discomfort. Many people who are at risk for blood clots in their legs find it very beneficial to wear compression stockings because factors such as sitting for long periods of time and prolonged bed rest can increase the risk of clots forming. If you struggle with any of these leg issues, you know just how frustrating it is managing the pain and mobility restrictions. Compression stockings work by helping blood in your legs return to your heart. Your blood has to work against gravity to flow back to your heart, and factors such as problems with circulation, lack of movement or weakness in the walls of your veins can impede the flow of blood in your legs. If blood pools in the veins in your legs, symptoms such as leg swelling and fatigue will present themselves. A compression stocking squeezes the tissue in your legs and the walls of your veins to help improve blood and lymph flow. Even people who work or stand for long periods of time find that compression stockings provide relief and comfort. At Comfort Mobility, we pride ourselves on providing our clients with the highest-quality health and mobility solutions. If you are located in the Boynton Beach area, stop by our showroom on Hagen Ranch Road to shop our full inventory of medical equipment. Our professional and experienced customer service representatives will help you find the perfect solutions for you and answer any questions you may have. We look forward to chatting with you soon!